SEOUL, Oct. 24 (Yonhap) — SK Telecom Co., South Korea’s top mobile carrier, on Wednesday showcased an open online platform that allows outside developers to create services for its artificial intelligence speaker, NUGU. The platform — NUGU Developers — allows anyone access to design and create AI services that would eventually bolster the company’s voice assistant NUGU without the need to know a complicated coding process. 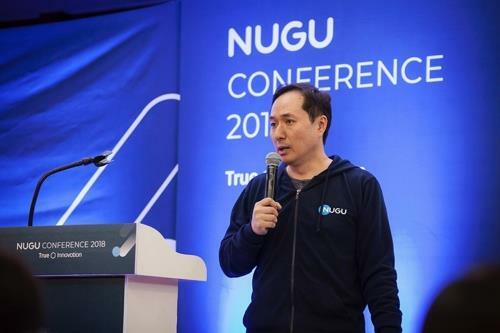 NUGU — the country’s first AI-based advanced voice recognition speaker — has provided a total of 36 services since its launch two years ago, securing over 6 million active users. SK Telecom forecasts its AI platform will open up wider applications beyond homes and advance further into users’ everyday lives, such as shopping and education.